Three days after my Easter experienceat the First Spiritualist Church of Quincy, Jackie called me on the phone. I had given her my business card and suggested she call me because Nancy had spoken so highly of her. I really didn’t expect she would call, at least not this quickly, but I was glad she did. The timing felt right to me. Jackie and I began chatting and I was instantly impressed with her maturity. She was only twenty-nine years old, yet she had a wisdom about her that most people twice her age don’t express. I enjoyed how she spoke from a place of truth. If she didn’t know something, she didn’t pretend like she did. Basically, my conversation with Jackie was easy, like I was talking to someone I had known and trusted for years. I learned that Jackie’s story was like most of the other psychic mediums I had interviewed. She had psychic and psychic mediumship experiences since she was a child, but she pushed the gift away. In her early-to-mid-twenties, the experiences grew more intense and less deniable. For Jackie, the voices and visions grew so forceful she was beginning to wonder if she had a mental illness. That’s when Nancy came into her life. Jackie saw Nancy give a talk on psychic mediumship and it all came together. She related to what Nancy was saying as if Nancy were talking about Jackie’s own experiences. Jackie realized she might be a psychic medium. The very next day she enrolled in a workshop that Nancy was giving. Over the following months and years, Jackie learned to understand the gift she was given and how to use it. When I talk with a psychic medium for the first time, I listen for certain indicators that signify to me that they are genuine. After my initial two-hour conversation with Jackie, I had no question that this young lady’s gift was special. It was now apparent to me why she had been so highly recommended by Nancy. I immediately felt compelled to share her with the world on OfSpirit.com, but I knew I needed to experience a reading with her before I could write an article with integrity and credibility. So I set up a reading with her for the following day. One of the questions that had been haunting me ever since I created OfSpirit.com, and since I had fallen into this flood of new experiences and connections with psychic mediums, was whythis was all happening to me. Although it may be difficult for you to believe, I really wasn’t seeking these experiences out—they came to me. In fact, these new experiences flowed to me effortlessly. I never would have had a reading with Joe if not for my father visiting his group session the night before I called. I had called Joe intending that he write an article for OfSpirit.com, but the Universe had bigger plans. I also never would have met John but for needing an article on that website. Instead, a friendship ensued. Nancy called me because John suggested to her that she should. I still don’t know why he suggested this to her; he just did. Then, the Easter experience arose despite my plans with my mother and sister that day. Again, it was Nancy who invited me, not something I sought out. If Joe had not told me two days prior about the psychic medium who did spirit drawings (Rita), I may never have given the Easter demonstration a second thought. If my mother and sister had not fallen sick, I would have spent the day with them instead of meeting Jackie, Brenda and Rita. With unimaginable synchronicity, all these events fell into place without any effort on my part. There had been other strange coincidences, like the time a psychic medium accidentally called me on my office number. She thought she was calling someone else, but mixed up the names and called me instead. Or the time another psychic medium, quite famous by the way, accidentally emailed me a very personal note. This was one of those notes that was definitely not meant for anyone’s eyes other than the person intended; but it ended up in my email. I let the person know of the mistake and that I would keep the secret to myself. Another strange coincidence occurred when a writer (who has no connection to psychic mediums) asked me to help her with marketing ideas for her new book. When she put me in touch with two of her friends, a husband and wife team who were helping her with the book’s promotion, I thought I was conversing with book promoters. Coincidentally, they also happened to be the top two researchers in the country (at a major university) studying scientific evidence of mediumship and the afterlife. Because I was communicating with these people by email, I never recognized their faces when I saw them interviewed on Datelineand HBO specials regarding psychic mediums. I should have recognized their names, but I was oblivious because I wasn’t expecting to know them. Eventually, after reading their names in a scientific journal that published their findings, I finally put it all together. I’m currently reading their new book, which offers evidence for a link between science and spirituality. As of this moment, my tie with these psychic medium researchers has no apparent significance. I suspect the connection will have more meaning in the future, but I’ll just have to wait to see what transpires. By the time Jackie called me, I felt like I was being pushed on a journey that was beyond my control. All these experiences were beginning to add up in my mind as more than mere coincidence. Sure, it wasn’t too far fetched that I would meet psychic mediums as the editor of OfSpirit.com, but the magazine also published articles on over sixty other subjects. We had hundreds of articles about subjects like acupuncture, aromatherapy, astrology, breathwork, chelation, chiropractic, coaching, dowsing, energy healing, hypnosis, herbalism, labyrinths, magnetics, massage, meditation, natural medicine, nutrition, polarity, reiki, shamanism, shiatsu, yoga and zen, to name just a few. Why was it that psychic mediums were such a dominant theme in my life? Jackie told me she could put questions to her personal guides for answers (she refers to her guides as “my people”), which is a different kind of mediumship than I had ever experienced. So I asked Jackie if she could ask “her people” where all this psychic medium stuff was taking me? “It is starting to take up a lot of my time, and I find it hard to believe this is all about one little book,” I told Jackie. She said she would meditate on the question and let me know the answers she received from her people when we talked the next day. The following day, I was exceptionally excited about getting a reading from Jackie. Now that I had asked her the question that was weighing on my mind, this had become more than just another reading to experience a psychic medium’s abilities. After some light discussion, Jackie began to tell me what her people had told her. Apparently, she had meditated on the question beforehand and written everything down. As she read it back to me, it became evident that her peoplewere present and helping her with the interpretation of her notes as she spoke. Being the impatient person that I am, I pushed Jackie for something more concrete, less metaphors and more details. She reminded me of Vicki the way she spoke with a poetic rhythm. “You are on a quest of personal discovery, but will share your experiences with others. My people call you the ‘bringer of the news,’ meaning you will teach others what you learn. People’s lives will be touched by reading about the personal relationships you will have with many people, many teachers, not just psychic mediums. This is just the beginning. There will be several books, not just one, and all very successful. There will also be increased speaking along the way. But you won’t be up to full stride for two to five years. My people warn you to pace yourself and your creative energies,” Jackie said. Jackie went on to explain that the main reason my books will become popular is because I come from such a skeptical background. “You understand where people are coming from in their skepticism, and they can relate to you because of it,” she said. Jackie’s people added that it is important that I am a manwriting about these subjects. Many men are more skeptical about these matters than the average woman, and they often view women as naïve believers. To open some men’s minds, they will need to hear about these things from another man—especially one who was once as cynical and skeptical as they are. As Jackie told me these things, I recalled that Vicki had predicted these same occurrences a couple years prior. At that time, it was just too hard for me to believe any of it. Vicki was the only psychic medium I knew, and I still had years of research to do. Finishing one book was hard enough to fathom, never mind several books. But I have to give Vicki credit. After looking at my notes from past readings with her, I realized she had given me almost identical messages. However, at the time that Jackiepassed these messages along, it all seemed closer and more realistic. As nice as it is to hear that the books you write will be successful, there is always a certain amount of fear that seeps in with such a message. For instance, Jackie said I would speak all over the world, but I have no desire to travel all over the world. That might have been fun in my twenties, but now that I’m approaching forty, I don’t have the same energy and enthusiasm for a rigorous travel schedule that I once had. I like to stay home now. I like to take naps. I like the comfort and complacency of a regular, quiet, routine. Consequently, these messages from Jackie weren’t exactly thrilling news to me. If that’s what it takes to spread my message, then I’ll do it. But I can’t say it felt like news to celebrate when I first heard it. To add to my fears, Jackie’s people gave me various warnings of challenges I would face in the coming years related to my work. “Gee, how nice. Icing on the cake,” I thought. But then they gave me some skills to use in dealing with these challenges: breathing exercises, physical exercise and a particular diet. In the end, the messages from Jackie’s people were bittersweet: a fulfilling yet challenging future; a successful but stressful career; an adventurous yet tumultuous schedule. In the end, it didn’t sound all that much better or worse than the roller coaster ride I had been on in my firstthirty-eight years on this earth. The next thirty-eight sounded like much of the same but with different experiences. I guess that’s called life. It took an hour for Jackie to relay the messages her people had for me. Then she told me that a spirit was coming through. He had been with her the whole first hour, but was waiting patiently for her to finish telling me what her people had conveyed to her. In fact, that’s exactly what he made a point of telling her, “I’ve been incredibly patient,” he said. I had a pretty good idea that this was my father. I could always rely on him to show up for me at a reading. Jackie said this man showed up during her meditation and showed her a symbol—the no smoking sign with the red circle and line through the cigarette. “He told me it has two meanings,” Jackie said. My suspicions about the spirit’s identity were confirmed; it was my father. He died of lung cancer due to smoking. The two meanings to the symbol were: one, that he shouldhave quit smoking and recommends that everyone quit; and, two, that he no longer smokes anymore now that he is in the spirit world—a message that he has passed along to me through more than one psychic medium. My father’s message that he no longer smokes is partly humor and partly serious. Even though he is in the spirit world and can smoke freely without worrying about getting cancer (the humorous part), he has quit the cigarettes because it was his failure to quit smoking that took him from his family at the young age of sixty-three (the serious part). My father likes to joke around a lot, but he knows how to make a powerful point, too. He would be perfect in one of those “don’t smoke” commercials; that is, if he could do a commercial from the other side. If smokers could feel the intensity of regret he now feels for not quitting while here on earth, they would hang up the cigarettes instantly. Psychic mediums have good days and bad days. Jackie was having a stupendous day. She had connected with my father like a computer connects to the Internet with a cable hookup. In contrast, I’ve had some readings where spirits came through with a telephone connection and an outdated modem. This day, Jackie repeated things from my father that no psychic medium had ever picked up on. I had originally warned Melissa of this same person months prior, but she didn’t listen. My intuition was telling me her “friend” had less than true intentions. But Melissa is so loving and trusting of people that she convinced me (to a point) to give this person a break. So I eased off on my warnings to her. That’s probably why my father felt the need to warn Melissa himself. Even more unbelievable was what happened next. Jackie stopped talking for a moment. I sensed something might be wrong by her silence. “Jackie?” I said, hoping everything was okay. “Bob, I’m looking out my window, and I can’t believe what I’m seeing. At first I saw a beautiful hawk flying outside my window. I was so pleased because I live in the city and you never see a hawk in the city. But then I saw a crow start attacking the hawk. It is so rare to see this in this area. Then I realized this is no coincidence; it is a symbol. It’s a symbol of what’s happening with your wife and this friend of hers. The crow represents darkness, the person’s evil intentions. The hawk represents light, your wife. Someone is making an emphatic point here,” Jackie said. Now the messages had become frightening. But then my father changed the subject and moved into a rather lengthy message that conveyed his love for Melissa. He recalled that Melissa was there when my mother, sister and I sat with him on his hospital bed as he was dying. Twice in the reading he expressed his closeness to her and wanted to thank her for the love she showed all our family members. He said Melissa was the fourth member of our family, his second daughter. I knew what he meant since Melissa had known my father since she was twelve years old—when we first started dating. Hence, she was more like a daughter to my father than a daughter-in-law. My father confused Jackie a little by calling Melissa his daughter, but she kept on relaying the messages as she was given them. He told her that Melissa was like an anchor for me, and kept me in balance. And there were more messages that would have brought Melissa to tears if she were listening. Additionally, Jackie gave me many of the same messages that other psychic mediums had conveyed from my father to me: that my father felt badly about what his alcoholism did to our family; that my father had lower back pain; that his brother was with him in the spirit world; that his mother, Mary, was with him in spirit, too; that Melissa’s grandmother, Katherine, was also there; that I hate the snow even although I live in Maine; that my birthday is in May; that Melissa’s birthday is in December; that my father’s birthday is in July, that my father and I shared the same name; and that Melissa and I recently moved residences. Phew! All that information in about an hour, and one hundred percent accurate. It is not unusual that a spirit will mentally show a psychic medium a place that they want to describe. I’m not sure why, but my father often shows psychic mediums our home. I think my father likes it. Plus, Jackie relayed that my father helped Melissa and I find the place. Jackie immediately told me that my father wanted to show her my home, and she asked me permission to come inside. After giving her permission, Jackie began to describe it. These were all pretty general comments that Jackie made about my home, but I knew she was there in her mind. Aside from being correct about her observations, I had a knowingabout Jackie’s gift. After you’ve had enough readings, read enough documents, experienced enough psychic medium demonstrations and talked to enough psychic mediums about their gift, you finally develop a “radar” where you know without a doubt if a psychic medium is genuine or faking it. In Jackie’s case, her connection that day with my father was so strong, she couldn’t have done much better if my father were still living and talking to her on the telephone. By the end of that reading, I was—once again—blown away. This reading with Jackie was on a Thursday and I publish a new magazine issue on OfSpirit.com every Friday. I normally piece the magazine together all day Friday and upload it to the Internet Friday night. I wanted to tell the world about Jackie immediately, but that meant I had to write the article with only a couple hours left of my day. I would only have a few minutes Friday morning to make some edits before adding it to the magazine. So I wrote a quick article that didn’t really amount to more than a long testimonial for her gift. The resulting article was mediocre, at best; but the response she received was much more than either of us expected. I can only attribute this response to the fact that my enthusiasm hadn’t had a moment to subside; I wrote the article almost immediately after my reading with her. Enthusiasm is always contagious, and I think you can feel my excitement when reading my words. Having once been a major skeptic when it came to psychics and psychic mediums, I understand why people are hesitant to call psychics for either guidance or fun. I spent most of my life thinking every psychic and psychic medium in the world was a phony and a fraud. Two years ago I learned differently. Now that I have been investigating and writing about psychics and psychic mediums for two years, I have discovered several genuinely-gifted and legitimate psychic mediums right here in New England. I would like to announce one particular psychic medium who is among the cream-of-the-crop. Her name is Jackie, and she’s a twenty-nine year old prodigy. Jackie is as good as they get, although she’ll tell you she is always growing. Unassuming, you know she is reading your life from a place of love and non-judgment. The most obvious of her personality traits are kindness, integrity, sincerity and honesty—just what you'd want from a person offering such intimate insight into your life. Please understand that I have been read by some of the best psychic mediums in the world. I have seen demonstrations from psychic mediums who are internationally known and have had major television, magazine and newspaper publicity. I promise you that none of these celebrated psychic mediums have anything over Jackie—her gift stands among the best. I recently experienced one of Jackie's gifted readings. She has a sweet unassuming manner that is confident, yet unthreatening. What I enjoyed most about her personality was her almost ego-less innocence. Perhaps that comes from her young age. But don’t let her age fool you; hers is a blessed skill that defies years of experience. Perhaps there are lifetimes of experience instead. Her accuracy met a depth of detail and insight that is far beyond what I expected from such a young person. Jackie presented me with names, dates and descriptions she could never have known; and she did it with ease, as if she had been giving readings since the day she was born. In the end, this young lady impressed me, and that's not an easy task. When I was a skeptic, my main problem was that I didn’t know where to find a legitimate psychic medium. I didn’t understand that a psychic medium actually communicates with your spirit-guides rather than just reading your mind or reading your future. I never realized that these practitioners can communicate with those who have “crossed-over”—they actually have the amazing ability to hear and see dead people. 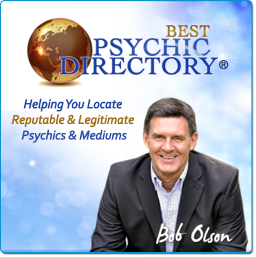 One purpose of my research into psychic mediums is to inform you (the public) where the truly gifted psychic mediums are so you won’t be taken advantage of by the less than legitimate ones. The experience and benefits you can gain from a reading with a gifted psychic medium like Jackie are well worth the investment. You’ll spend money at a restaurant, on shoes or a new dress. Why not spend the same on a gift to yourself that could change your life? Jackie can give readings by phone to people anywhere in the world. Don’t procrastinate calling her for a reading. Now that we at OfSpirit.com are telling the world about Jackie, she is going to book up fast! Call soon to get an early appointment. Jackie did book up fast. Like Joe before her, OfSpirit.com changed the course of her business, and in this way, her life. Her clientele grew, and she began doing readings for people all over the world. This was never really my intention. I only wanted to share these psychic mediums with our online visitors because I knew how many scam artists existed in the world. Rather than expose the charlatans, I preferred to shine a spotlight on the genuinely gifted psychic mediums. I know when a psychic medium is genuine, but I don’t always know the difference between a psychic medium who is having an off day and a phony. I don’t think anyone does, but many reporters ignorantly try. Hence, the reason so many truly gifted psychic mediums are falsely accused of pulling a scam. Once again, I was pleasantly surprised by a psychic medium just when I thought I had seen it all. Jackie gave me a different kind of reading that opened my eyes to new possibilities. Why is it that “her people” were able to give me information that my own guides and family of spirits were unable or unwilling to provide? This is just another question that I don’t expect to have answered anytime soon. The answer doesn’t matter. What matters is the lesson that, regardless of how much we know, there are always new possibilities for which we must keep an open mind. As if my experience with Jackie was not enough to nail that lesson down, my experience in the next chapter hammers yet another example of alternate methods for spirit communication.